I was privileged and honoured to have been one of the very few photographers to photograph The Shuttleworth Collection’s original DH88 Comet Racer in the air after it was restored to flying condition. One of those photographs can be seen elsewhere on this website. That aircraft was sponsored in the 1934 race by The Grosvenor House Hotel, after which the aircraft was named. Some time after those photographs were taken I was contacted about an exhibition that the hotel was creating about the winning aircraft and ‘please could I supply some copies of my photographs?’ Of course I agreed immediately. I asked if they would like some colour photographs of the other two participants? They would be created in Photoshop, of course, using the original air to air shots as the basis for the ‘new’ shots. A proper tail-skid was fitted as per the original. 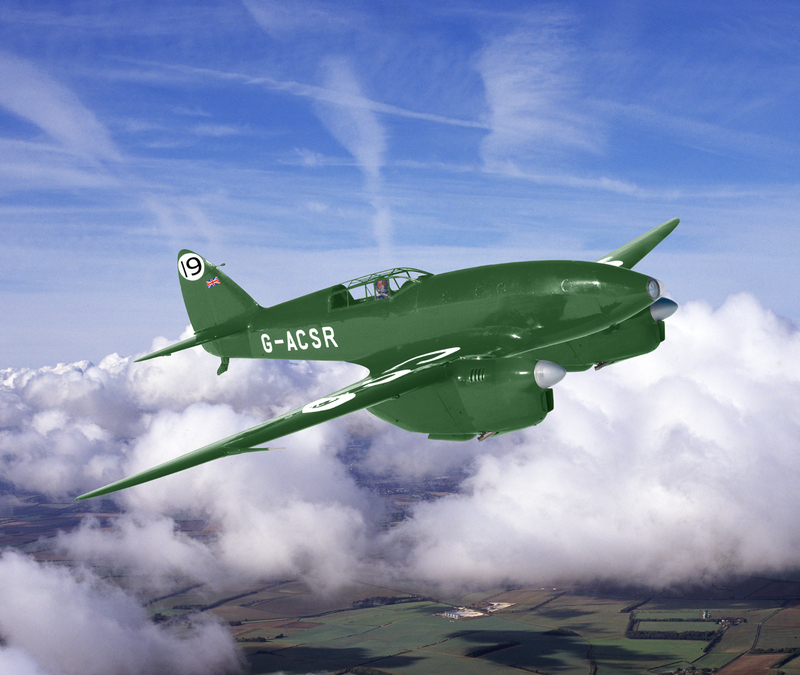 The aircraft depicted here was painted in ‘British Racing Green’ as it was sponsored by racing driver Bernard Rubin. It was flown in the race by Owen Cathcart Jones and Ken Waller. It positioned fourth and immediately returned to England carrying film of the race finish in a record time of 13 and a half days.